The Carr Center analyzes economic inequalities: between individuals and groups in society, and between nations and states in the international system. We promote the equitable distribution of resources and opportunities. How far have we come on human rights in the last 70 years? In recent decades the world has grown together in ways in which it had never before. This integration is linked to a greatly expanded public and collective awareness of global integration and interdependence. Academics across the social sciences and humanities have reacted to the expanded realities and perceptions, trying to make sense of the world within the confines of their disciplines. In sociology, since the 1970s, notions of the world as a society have become more and more prominent. John Meyer, among others, has put forward, theoretically and empirically, a general world-society approach. In philosophy, much more recently, Mathias Risse has proposed the grounds-of-justice approach. Although one is social-scientific and the other philosophical, Meyer’s world society approach and Risse’s grounds-of-justice approach have much in common. This essay brings these two approaches into one conversation. Tax competition (by states) and tax evasion (by individuals or companies) unfold at a dramatic scale. An obvious adverse effect is that some states lose their tax base. Perhaps less obviously, states lose out by setting tax policy differently – often reducing taxes – due to tax competition. Is tax competition among states morally problematic? We approach this question by identifying the globalized myth of ownership. We choose this name parallel to Liam Murphy and Thomas Nagel’s myth of ownership. The globalized myth is the (false) view that one can assess a country’s justifiably disposable national income simply by looking at its gross national income (or gross national income as it would be absent certain forms of tax competition). Much like its domestic counterpart, exposing that myth will have important implications across a range of domains. Here we explore specifically how tax competition in an interconnected world appears in this light, and so by drawing on the grounds-of-justice approach developed in Mathias Risse’s On Global Justice. This paper by Ambassador John Shattuck, Amanda Watson and Matthew McDole examines the resilience of liberal democracy and democratic institutions in the US after one year of the Trump administration. Declining levels of political participation and public confidence in government in the US are not new, but the populist forces that propelled the election of Donald Trump in 2016 signaled a new level of public disillusionment with democratic politics as usual. There has been a sharp increase in public discontent with the system of governance in the US over the last fifteen years. An October 2017 Washington Post/University of Maryland poll found that 71% of Americans believe that political polarization and democratic dysfunction have reached “a dangerous low point”. Three years earlier, in 2014, a Gallup Poll showed that 65% of Americans were “dissatisfied with their system of government and how it works,” a dramatic reversal from 68% satisfaction twelve years earlier in 2002. The US is a flawed liberal democracy. In theory, liberal democracy is the antithesis of authoritarianism. Its ingredients include free and fair elections, freedom of speech and media freedom, an independent judiciary, minority rights and civil liberties, a diverse civil society, the rule of law and a system of checks and balances against concentrations of power. The institutions and elements of liberal democracy are designed to be a bulwark against tyranny by both the executive and the majority. 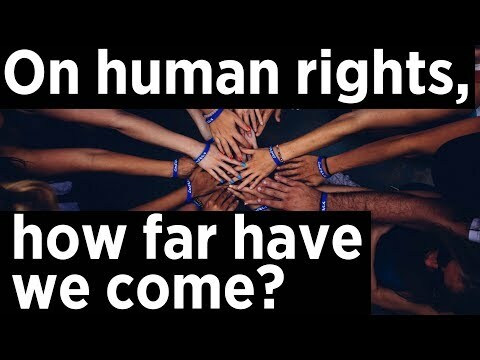 As the Universal Declaration of Human Rights turns 70, the Carr Center on Human Rights Policy looks ahead at the coming decades and the importance of tackling the transformative effects of technology on human rights today. Cambridge, MA—Harvard Kennedy School (HKS) announced that Mathias Risse, the Lucius N. Littauer Professor of Philosophy and Public Administration, will serve as the Faculty Director of the Carr Center for Human Rights Policy. The Harvard Votes Challenge is a nonpartisan, university-wide effort that is challenging Harvard schools to do their part to increase voter registration and participation among eligible students. In the latest episode of Justice Matters, Carr Center's Executive Director Sushma Raman interviews Carr Center Senior Fellow Elisa Massimino on refugee rights, shifting US immigration policies, and the lasting impacts of Guantanamo Bay.